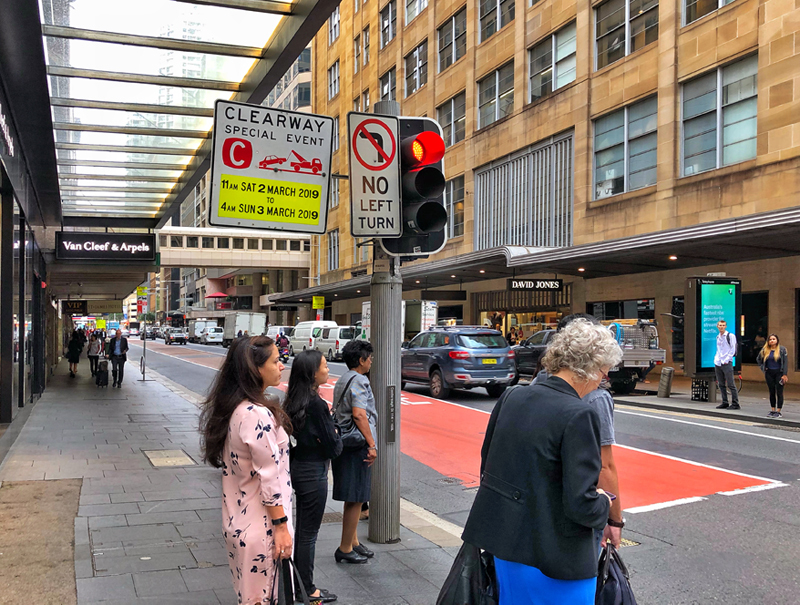 Canopy: A recent visit to Sydney, Australia led to a lament about the demise of the urban Canopy due to Sydney’s wonderful preservation of 50-100 year old canopies throughout the urban core. Preservation aided by it’s temperate weather. 19th and early 20th century western cities provided a layering of space from the street to the sidewalk normally covered with a Canopy to the building interior. 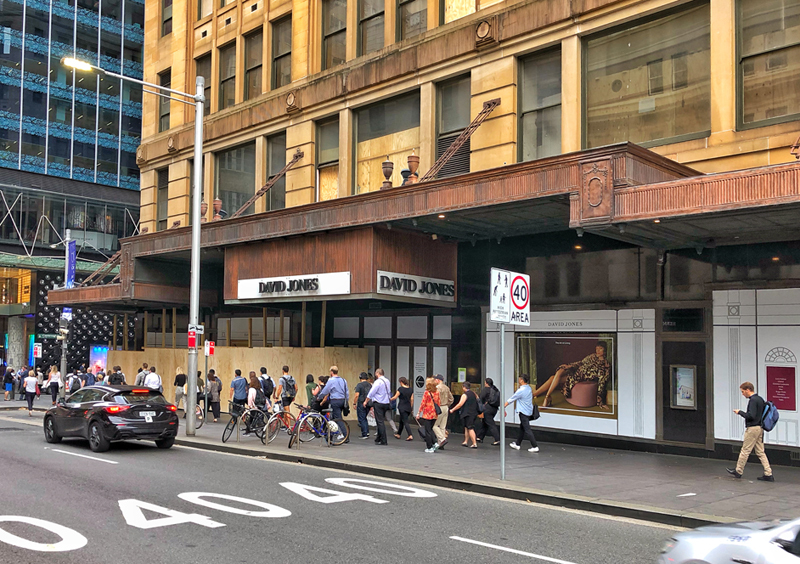 The covered sidewalk not only shielded pedestrians from the elements, it provided a space open for meeting friends, walking, enjoying window displays, waiting for buses, cafe seating. 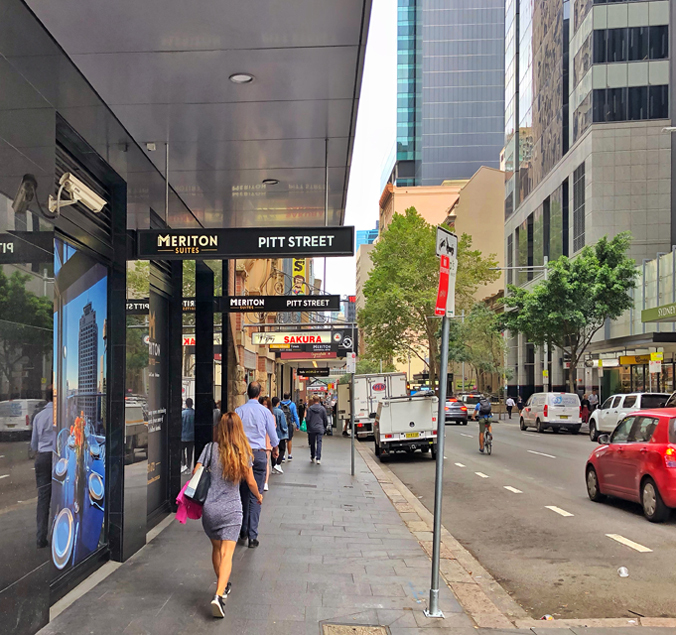 With Canopies, streets become more defined and delineated from the pedestrian zone. 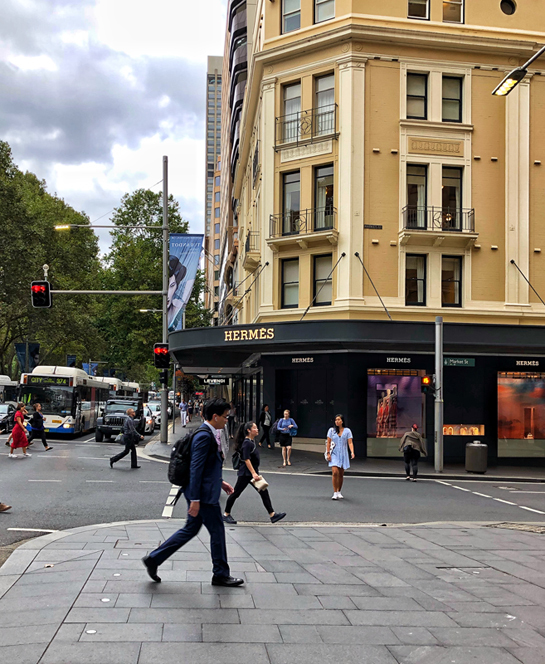 Seeing Sydney was like stepping back to the glories of 20th century urban retail districts, think New York’s 5th Ave, Louis Sullivan’s Carson Pirie Scott in Chicago, Samaritaine in Paris. 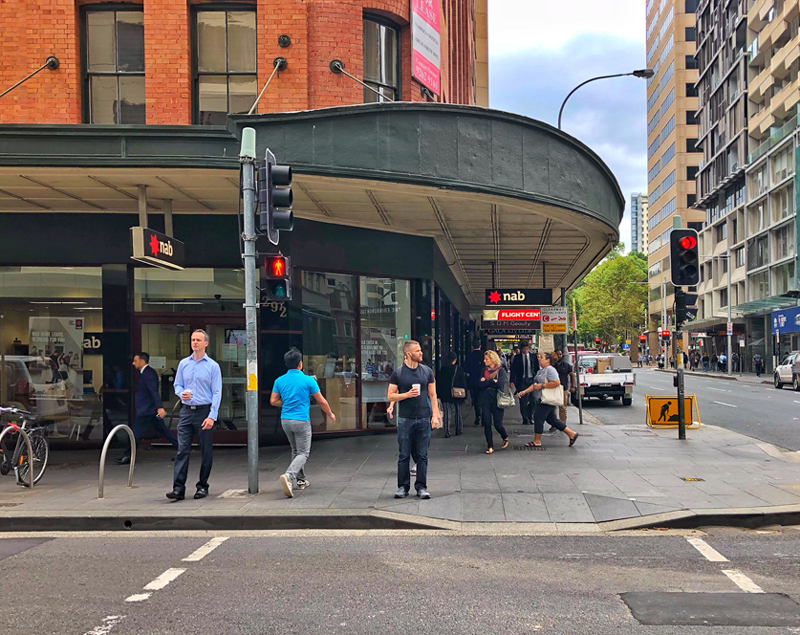 Thankfully these has been preserved but why have we not replaced deteriorated older Canopies and incorporated their design in new construction. Often working with clients, the number one concern is about lack of identity and locations being hard to find. Canopies create a secondary space for branding as well as helping to change scale closer to pedestrian traffic. Like porches and loggias, Canopies lower the visual plane and basically shrink space for the human body providing a transitional scale of infinite sky to interior room. The protection from the elements is only one aspect of their power in urban environments. The covered Canopy space begins a building, pulls the interior outside-and pulls the outside inside—an essential intermediary. 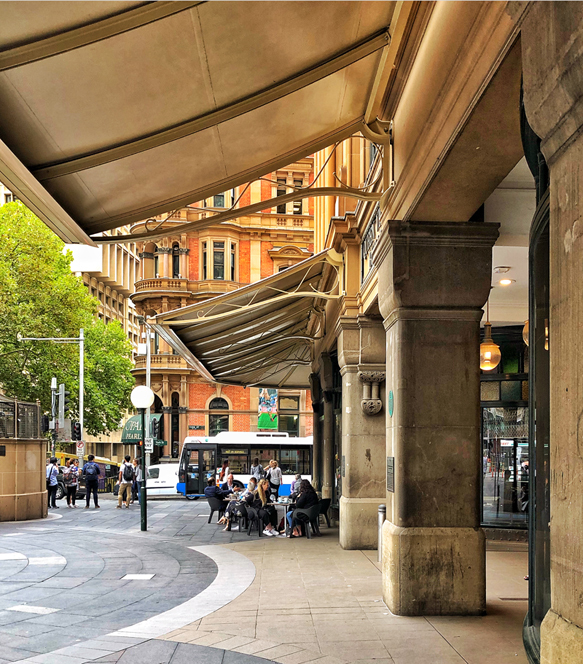 Like tree canopies along streets, architectural Canopies provide a human scale to be in, while visually connecting to the massiveness of the urban whole.